The pipeline is the trend of funneling students from public schools into the criminal justice system. African-American youth have been the most impacted by the pipeline. Even worse, the U.S. Department of Education has new research that shows the pipeline starts at pre-school for black students. According to the American Civil Liberties Union, black students represent 31 percent of school-related arrests. It started with the zero tolerance policies of the 1990s that saw students being criminalized for minor school infractions such as improper dress, disruption of a public school, obstruction, etc. New research indicates that cyberbullying is now crossing over from the online world to the offline world. Guess where those incidents are taking place. At your local school system. School systems have noticed this trend and are putting in place measures to address the issue. More than 45 states, plus local governments, have laws and policies that protect victims from bullying and cyberbullying. Some state cyberbullying codes protect victims on and off school grounds. 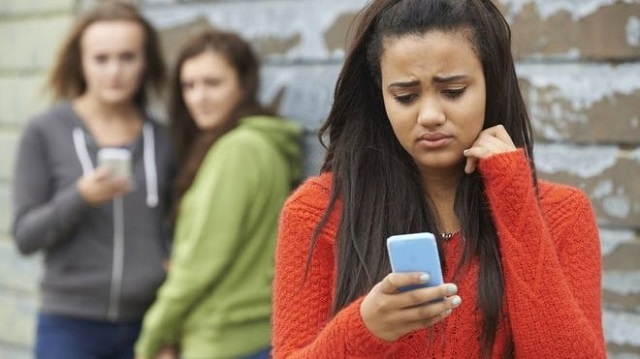 For example, Georgia laws on cyberbullying covers incidents within the walls of the school, during extracurricular activities, on the school bus and even at designated school bus stops. Therefore, a kid who is engaged in cyberbullying at the bus stop is in violation of the law if caught and turned in to the school administration. Missouri has a new law that considers inflicting emotional distress a felony. Cyberbullying incidents fall under this new law, which requires school systems, under mandatory reporting statutes, to refer incidents to law enforcement. Director of Court Services Colin Slay told me “The MOU with the school system has eliminated the school-to-prison pipeline in Clayton County.” Students who are engaged in internet “beefs” that cross over to school are handled through normal school-disciplinary procedures and the outlined MOU. More counties should create policies that mediate social media “beefs,” conflicts, etc., before formal charges are filed and youth end up in the juvenile justice system. As we know, teenagers will be teenagers, but it is also time for adults to be adults and shut down this emerging pipeline that is impacting black youth. This column was orginally written for the Juvenile Justice Information Exchange, a national news site that covers the issue daily and edited for posting on MST.